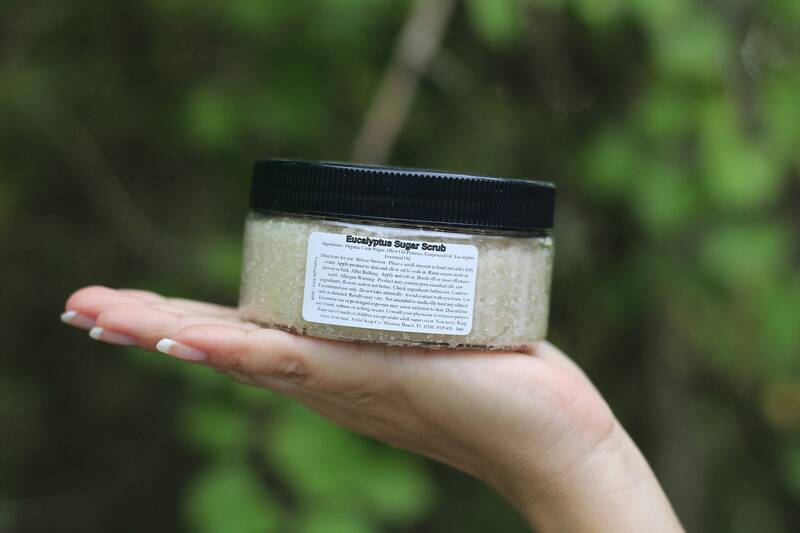 Eucalyptus Sugar Scrub, Sugar Scrub, 100% Natural, Exfoliating, Body Scrub, Face Scrub, Natural Scrub, Anti Aging, Exfoliation, Handcrafted. 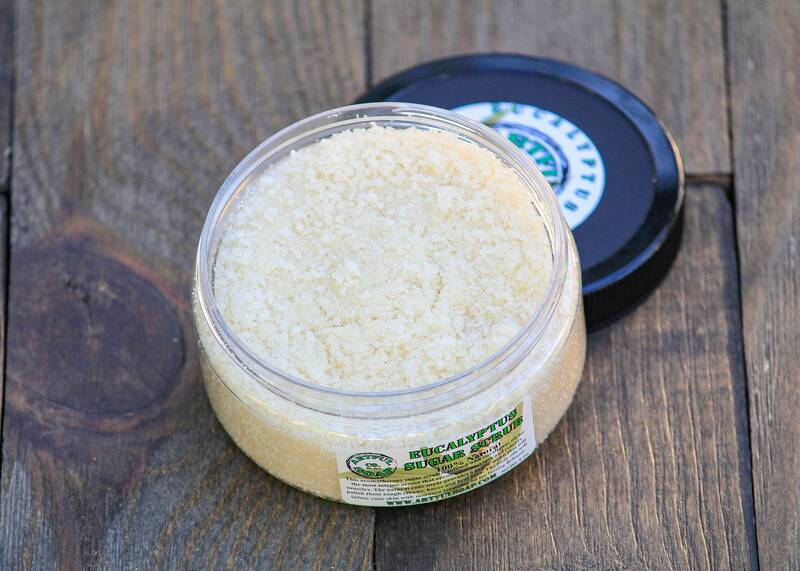 This aromatherapy sugar scrub is infused with eucalyptus oil for the most intense aroma of all our scrubs. 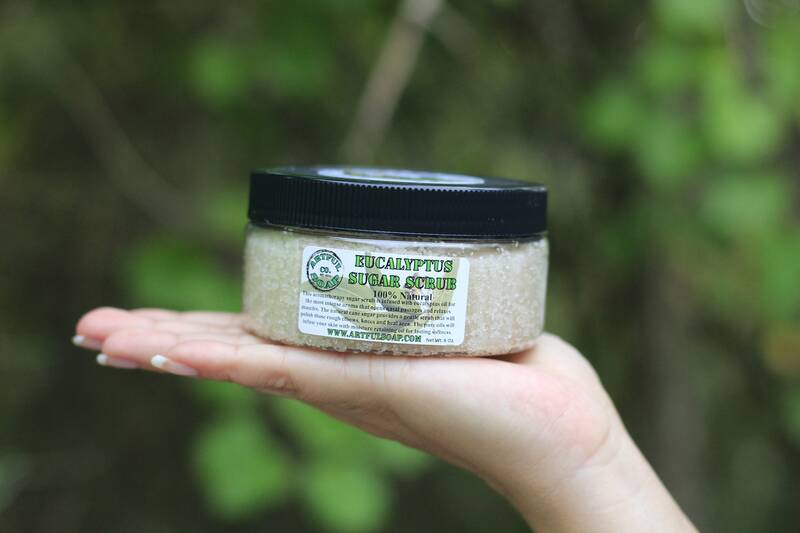 The sugar provides a medium abrasive scrub and is sure to polish those rough elbows, knees and heal area. The pure oils will infuse your skin with moisture for a lasting softness. This scrub is found in many day-spas and therapy boutiques. Ingredients: Cane Sugar, Olive Oil, Grapeseed Oil, Eucalyptus Essential Oil. Net weight 8 oz.